Tehran Annual Digital Art Exhibition (TADAEX) was founded in 2011 with the aim of opening new horizons for digital arts in Iran. Its purpose has been to create a serious and independent atmosphere for enthusiasts and researchers of this field. For the past four years, TADAEX has invited international artists to engage and interact with Iranian artists, hoping to create a suitable environment for sharing universal ideas and experiences through digital media. This has paved the way for the development and enrichment of Iranian digital art, its production and presentation. The non-commercial nature of digital art among contemporary art mediums and the costly nature of the tools and equipment used in this field make it more difficult for Iranian artists to experiment and participate in digital art. Therefore, numerous chances to display and enough capacity to present this medium may not exist and the existing academic and technical knowledge also require support and management. In its fifth year, in collaboration with Kooshk, TADAEX presents its programs in Mohsen Gallery and Darbast Platform to incorporate and enrich the professional and technical stance of the festival. It aims to provide a place of discussion for artists and the audience by showcasing selected works of Iranian and international artists, which have been collected through an open call and curated by TADAEX team members. Similarly, by offering educational workshops, expert lectures and multimedia performances, as well as establishing a sustainable connection between festivals, communities and international institutions in the related field, it strives to establish a professional and open place for all artists, experts, students and enthusiasts of Digital art and to increase the possibility of professional exchange. 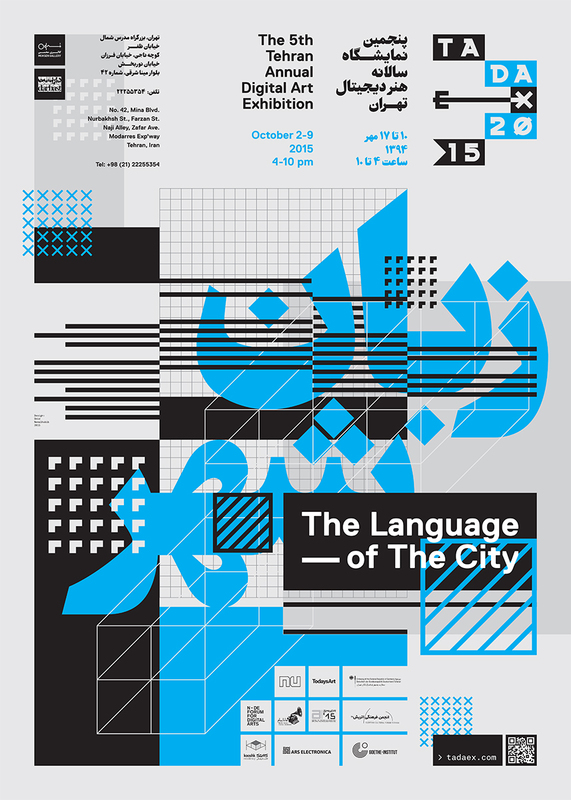 In the hopes of adding to this year’s methodically planned event, an intriguing theme, titled “The Language of the City”, has been added to the festival. It is hoped that this addition will grant more opportunities to the audience, enhances the growth and expansion of digital art and culture in the world of visual arts and pushes it towards alternative, more novel paths. Juliane Götz, Sebastian Neitsch, Florian Egermann and Rosi Grillmair as three of the artists participating in this program were accommodated in Kooshk during their stay in Tehran.